More than 400 jobs are expected to be lost at a local authority as council bosses tackle cuts to its funding. The Conservative-run Swindon Borough Council says it needs to save an estimated £30m over the next 30 months. 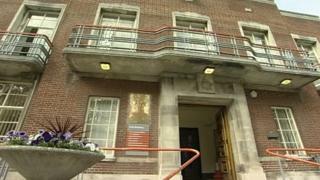 It said nearly half of the savings would come from reducing staff numbers "which will affect all departments". Deputy leader of the borough, Councillor Russell Holland, said it was looking at 420 jobs - or 15% of its current workforce of 2,800. "We have to deal with an increase in people who require social care, more people living for longer with more complex health needs," Mr Holland said. "We need to save £30m in 30 months - £10m from increased pressure for adult social care, £10m from inflation - we have the minimum wage and other pay increases - and £10m from reductions in government funding." "Redundancy is viewed as the last resort... where it is necessary we will look at voluntary redundancies first and where compulsory redundancies are necessary we will have a full consultation process with staff and their trade union," he added. They are dubbing it "30 million in 30 months". Swindon needs to save £1m a month between now and 2020. As part of this, the Conservative-run council expects to reduce its workforce of 2,800 by about 15%. Many redundancies will be inevitable. I am told it will be across all departments including senior management, but areas where human interaction could be replaced by online forms are likely to be the most obvious target. The consultation with staff and unions will begin early next year. As well as job cuts, the council also hopes to generate more income from projects like selling houses, and reducing other running costs around things like social care. But at the end of this councils will have been through a decade of year-on-year spending cuts. They will be very different organisations from those which existed in 2010.